Posted October 6, 2009 in Fantastic Four, Norris Burroughs, Sub-Mariner. 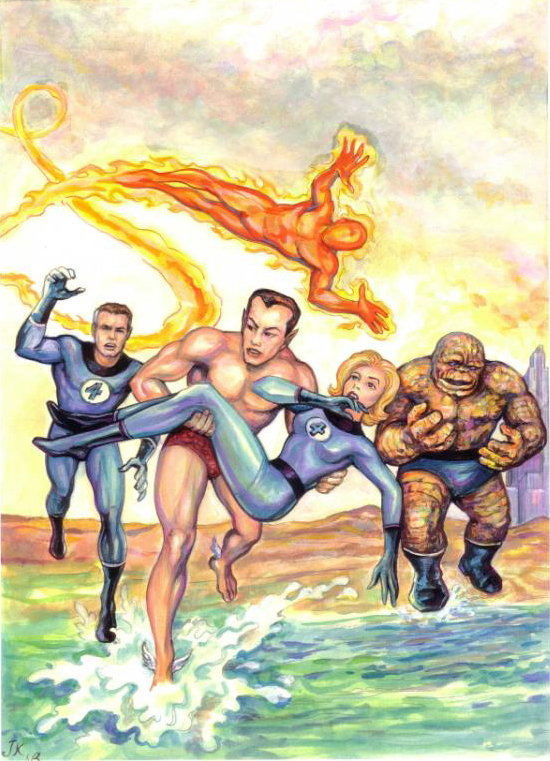 Fantastic Four #4 re-imagined by Norris Burroughs. Original cover by Jack Kirby and Sol Brodsky here. Posted June 22, 2009 in Fantastic Four, Norris Burroughs. 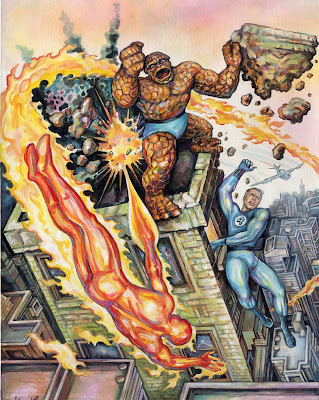 This re-creation of the cover to ‘Fantastic Four’ #69 is by Californian Writer/Artist Norris Burroughs. Norris is the author of the graphic novel ‘Voodoo Macbeth’, which details his Father’s involvement with the black theater movement of the 1930’s. A lifelong fan of Jack Kirby, Norris celebrates his art in a series of fine articles at his blog, Kirby Kinetics. Original cover art by Jack Kirby and Joe Sinnott here.